Joanna CM Cole, PhD is the Manager of Psychosocial Programs and a Licensed Clinical Psychologist at The Children’s Hospital of Philadelphia (CHOP). She practices within the Center for Fetal Diagnosis and Treatment, which provides specialized care to mothers carrying fetuses with known birth defects that require fetal surgery and treatment before or after birth. Babies are born at CHOP on the Garbose Family Special Delivery Unit (SDU) which is the world’s first birthing unit within a pediatric hospital dedicated to healthy mothers carrying babies with serious and life-threating birth defects. Working closely with the medical and nursing teams, Dr. Cole provides comprehensive diagnostic evaluation and counseling, ensuring that families feel emotionally supported every step of the way. In collaboration with the Center’s psychosocial team, Dr. Cole assesses families’ understanding, readiness, coping mechanisms and chronic life stressors in order to identify how the news of a fetal diagnosis might intensify symptoms of distress. Her work includes evaluating for preexisting mental health conditions or issues of safety, and determining the risk for postpartum mood and anxiety disorders. An important element of Dr. Cole’s role in the CFDT and the SDU is providing supportive psychotherapy to identify, understand and help balance the emotional toll of a complex pregnancy within the context of other life stressors. Dr. Cole counsels individuals, couples, and family members on effective coping strategies, communication and emotional preparation for different stages in the medical experience, from pregnancy and delivery through the intensive care stay and well after discharge. Dr. Cole also provides pregnancy options counseling and grief support and is a leader within the CFDT’s Perinatal Palliative and Bereavement Care Program, committed to helping families plan for and cope with the death of a baby or the knowledge that their baby might not survive after birth. Dr. Cole’s research interests include the implementation of a perinatal mental health screening tool that identifies significant symptoms of anxiety, traumatic stress, and depression among parents. This research will help to identify risk factors and provide therapeutic intervention at the earliest possible point of care, with the goal of decreasing symptoms within the postpartum period during the neonatal intensive care hospitalization. She has also developed a weekly mindfulness support group for women and their families seen in the Center. 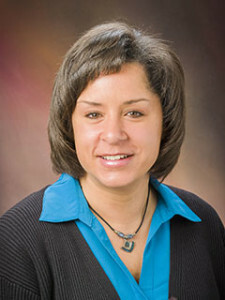 Dr. Cole joined the Center in 2012. She earned her PhD in Clinical and School Psychology from the University of Virginia. She completed a pediatric psychology internship and an adolescent and young adult health fellowship at Boston Children’s Hospital/Harvard Medical School. She is also a certified birth doula and is trained as an alcoholism and substance abuse counselor. In addition, Dr. Cole is a newly appointed board member for Postpartum Support International and is one of the members of the National Perinatal Association working to develop guidelines that define clinical support for parents during their child’s time in intensive care.